Wow, Chicago seriously got dumped on with snow yesterday. I was trying not to say much about how unseasonably NICE this winter has been, for fear of jinxing things, but so much for that! 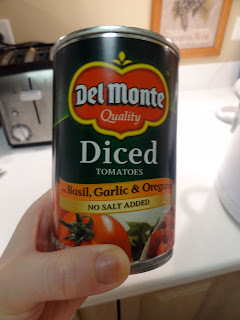 Anyway, I have a fantastic new recipe for you guys today! Just in time for the weekend, if you're looking for a warm dinner to enjoy on a night in. This one is another Crock Pot recipe, which also makes it perfect for the weeknights. Beer? Yes, there is BEER in this recipe! Woah mama that's fun. Step #1: In a frying pan with a little bit of cooking spray or EVOO, brown up the steak tips. Try for 3 minutes on each "side." Step #2: Put the diced onion in the bottom of the Crock Pot. Step #3: Once you have flipped your beef & browned it on both sides - it will be ready to go into the pot! Step #4: Pour the canned tomatoes, followed by approximately 1/3 cup of beer, over the beef. 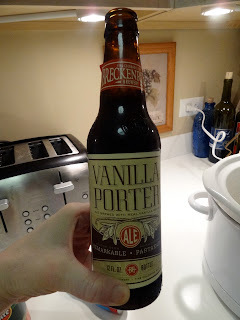 I used a Vanilla Porter, because it's delish and that's all we had in the fridge! Unless, that is, you are making this recipe at 6:30AM before work like I was. Step #5: Now that everything is in the pot, you can set-it-and-forget-it for 7 to 8 hours on low. Ours went a little longer and it was just fine! This is one meal I could not get off my mind before I had even had breakfast! Yikes! Step #6: Have the beef on it's own, or serve it over some mashed potatoes, rice, or even quinoa! We had ours over baked potatoes (russet for him, sweet for her) because that's what I've been feeling lately. I loved that there were minimal ingredients in this one - and it took only 10 minutes to prep, even with the browning. It was SO SO SO good! Very savory & the beer adds a great flavor. I think this meal would be great with your favorite red wine. 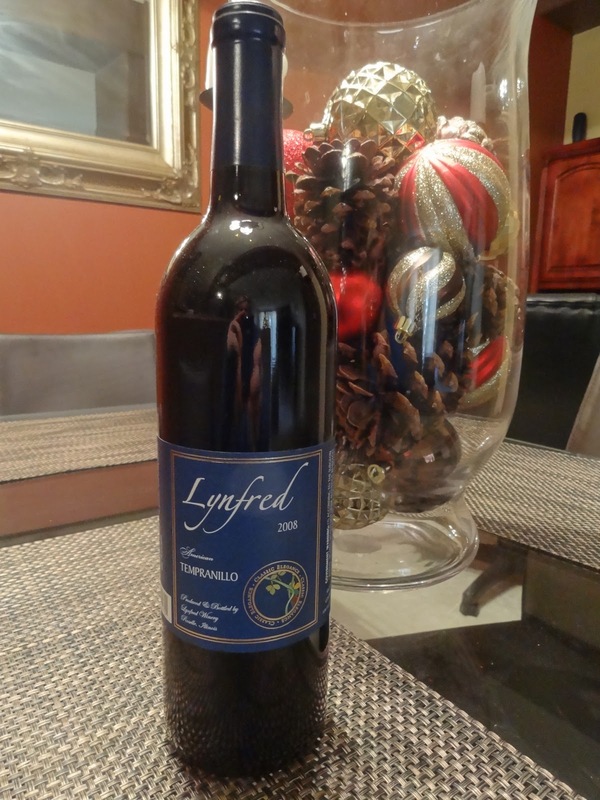 If you live in the Chicago/suburban Chicago area, you owe it to yourself to pick up a bottle of this 2008 Tempranillo from Lynfred. It is just. plain. TASTY. I hope you all have a great weekend! We have plans to check some things off the to do list, including our first wedding registry (Justin is SO excited! haha). Check back for a weekend update soon.